Cafeteria: A well maintained cafeteria provides healthy food to the students. The food holds high nutritive value. 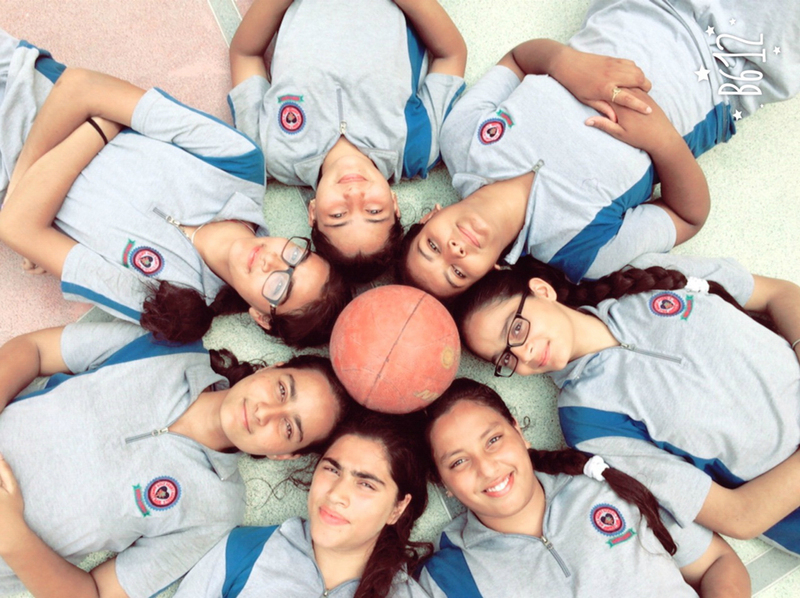 Holy Heart Presidency has host of sporting activities on a regular basis so it becomes very important that the food prepared should not only be filling and nutritive but also provide stamina to the children to perform their duties. Home cooked tiffin. Nutritious hot food is provided to the students in the lunch break at nominal charges. No Studies all play makes Jack a dull boy, but no play all studies makes Jack a physically weak boy. 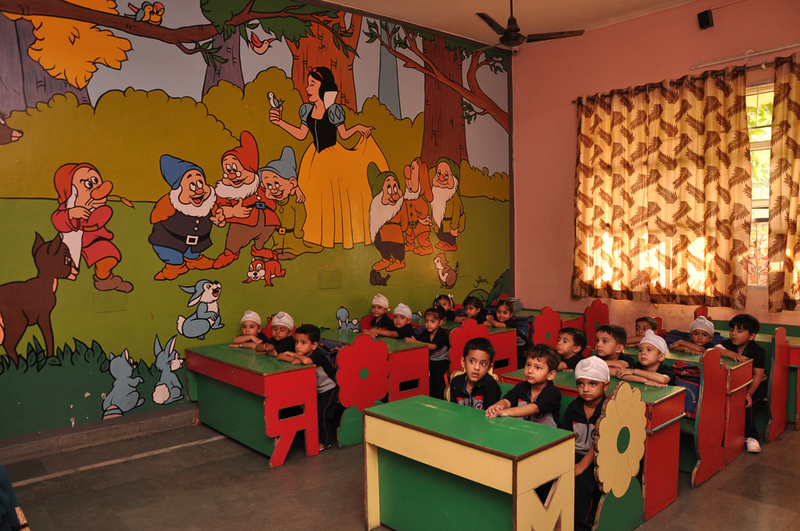 Imparting equal importance on play especially for juniors, the school has a special play area called J.C.P.A. (Jungle Concept Play Arcade) Made totally according to modern technique & fully equipped with swings and joy rides. The library of the school is well equipped and well organized. It has an adequate number of technical, text and reference books in various disciplines of studies. The library functions with an open access system from 7:30 am - 4:00 pm daily. In the reference section we have Journals, Magazines, Art books, Craft books, Computers books etc. The library for seniors is accomplished in the basement of the administrative block. This Library accommodates 200 students at a time and provides ultramodern furniture and Wi-Fi connectivity. 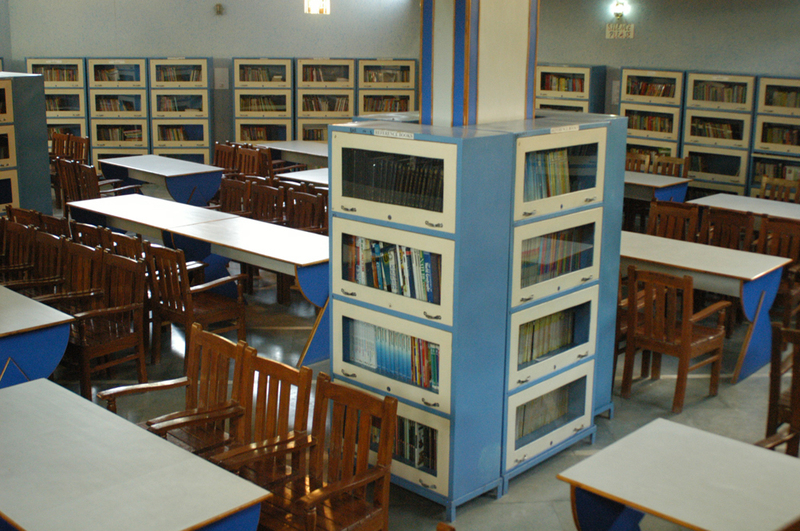 The facility of e-library has been introduced to promote effective reading habits. The school wants to encourage reading habits amongst children through proper use of library which can play an important role. 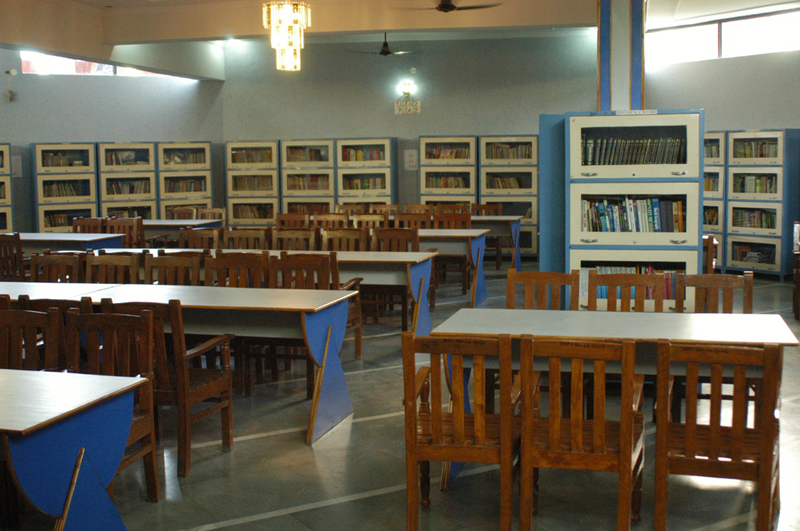 A library is fundamental to the design, implementation and attainmentof educational excellence.It also helps introduce the use of reading for information,pleasure, passing examinations and personal growth through lifelong learning.It is especially crucial in developing scientific reflective thinking and creativity which can be seen in the development of values, attitudes and appreciation. At Holy Heart we believe that the teachers need knowledge and experience at international levels so that they can raise global students for tomorrow. All the teachers are given ample opportunity to show their talent in their teaching methods. Well organized lesson plans along with audio vision teaching aids are provided to the students. Importance is given to teaching through Multi-Sensory Learning - audio, video, interactive, texts forms. Every teacher,including Mathematics, Science, Social Studies and different languages make power point presentations/projects of her week's schedule and take the class through smart boards thus making the work environment interesting and interactive. Timely orientation programmes are conducted for the staff by the Director/Principal to update them with the best approach thus ensuring an organized and effective teaching pattern. The faculty/students enrichment programmes are a regular feature of the curriculum. 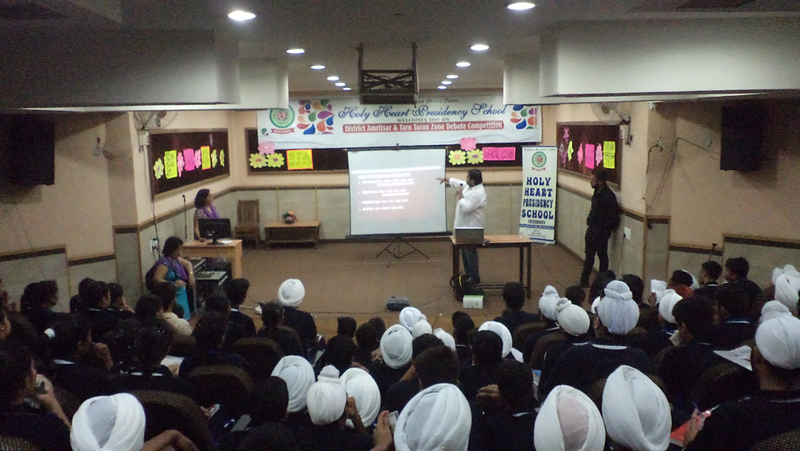 Seminars are also conducted by professionals of different career counselling institutions. Teaching solution for the 21st Century Schools with the advent of latest technology in the field of education, the education sector has seen paradigm shift. With the changing times in this competitive world, it has become more pertinent to expose our students to the latest technology based education. Through its product smart school has taken a step in this direction; expose the students to the latest in e-learning technology with high definition animated content for classes K-12 for schools. Our educational content is based on the theme of Multi-Sensory Learning. It has been scientifically proven that content based on Multi-Sensory Leaning imparts a better learning experience to the students. Recognition is always better than recalling. 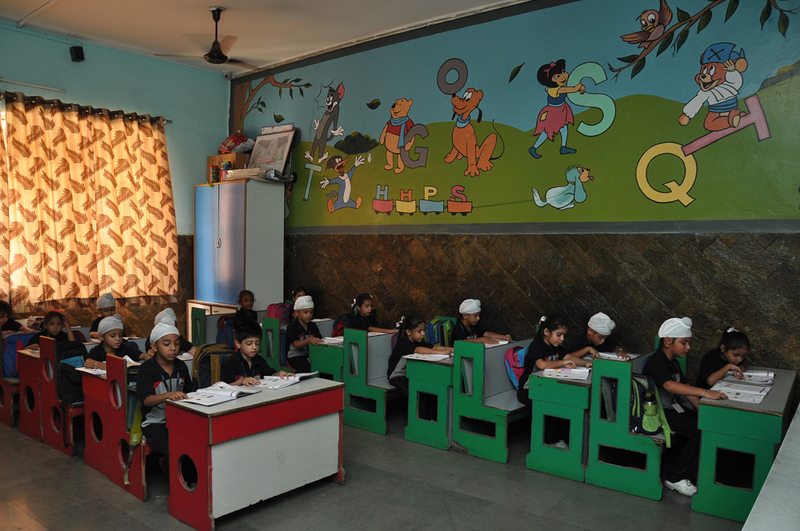 The tiny tots of classes Nursery- Kindergarten are made to sit in class rooms which are suitably made, according to the needs of the students. Colours, fruits, vegetables, numbers and alphabet concepts have been presented through the infrastructure of the rooms, to make the students feel the ambience most beneficial for them. Smart boards are fitted in all the classrooms.Learners show increased motivation and enjoy the interaction of technology offers. It makes the subject come alive and captures the attention of the learners. It encourages the involvement of learners in the subject. It enables to use multimedia resources and the internet with a whole class. To cater the interest of the Tiny Tots, the school has the spacious, colourful & full of toys activity room for students till class KG. The theme based toys required for the muscular & mental development of tiny tots decorate the room & make the activity room a wonder room. TV, VCD, DVD etc are the essential components of today's teaching learning process & these instruments are fully exploited/utilized for the benefits of our students. 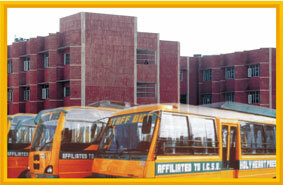 The school has its own & private transport system. The conveyance for school is available from every nook & corner of the city at very reasonable rates. School is also planning to start AC buses for students who can afford to enjoy the luxury. We consider it important to respond to and provide for the individual needs of each child hence the facility of Supervised Studies is provided to help the parents and thus facilitate the teaching process. The Supervised Studies and special coaching classes at each stage considerably enhance the success of individual learning programmes. For the more able students, more challenging tasks are set in order to extend their capability and promote greater achievements. They provide easy access to a wide assortment of books. They give kids a choice in what inspires them to read more. They involve family, which demonstrates to kids that reading is important. A swimming pool of national level dimensions and a proper access to the swimming pool is an additional feature of the school. The swimmers of the school have won at state level and participated at the national level. Learning to swim is compulsory as the school realizes that apart from being a great exercise, it keeps active and improves ones strokes. Swimming provides skills that one day may save a life. The school has a well-furnished retiring room where medical facilities exist for the students and staff. 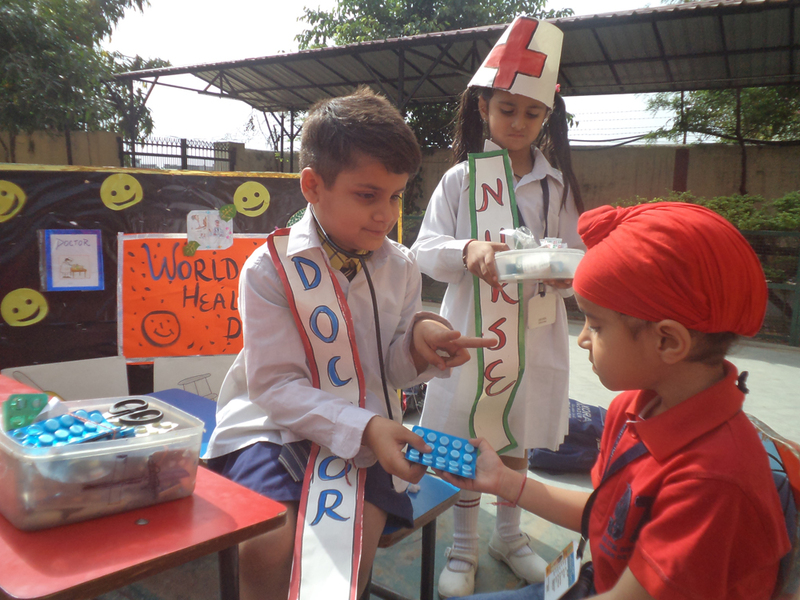 In addition to day to day attendance to ailments, special attention is paid to the health of the students. Proper Dental checking camps, height and weight measurement and lectures on personal hygiene are conducted from time to time. The purpose of trips is for education, non-experimental research and to provide students with experiences outside their everyday activities, such as going camping with teachers and their classmates.Field trips are generally domestic, but for high school students, it becomes national and international. At Holy Heart students are constantly encouraged to test theories, prove concepts and validate hypotheses. 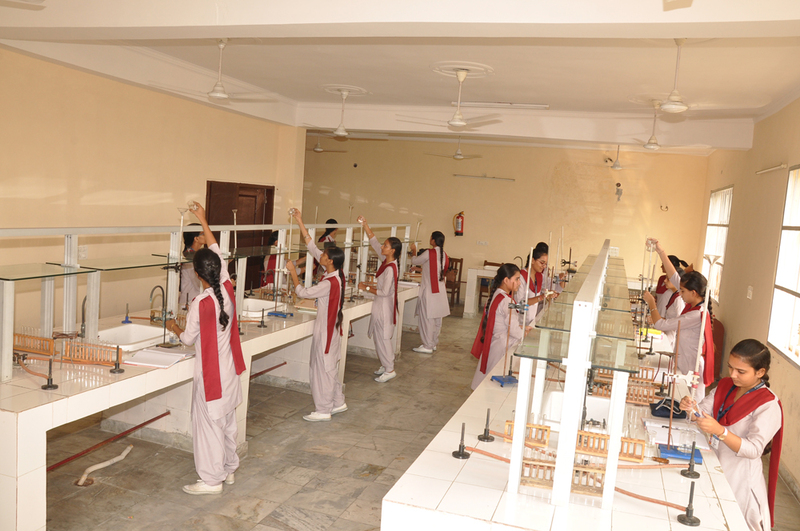 As we believe in experiential learning, the students of Holy Heart make optimum use of the well-equipped Physics, Chemistry and Biology laboratories available to them. 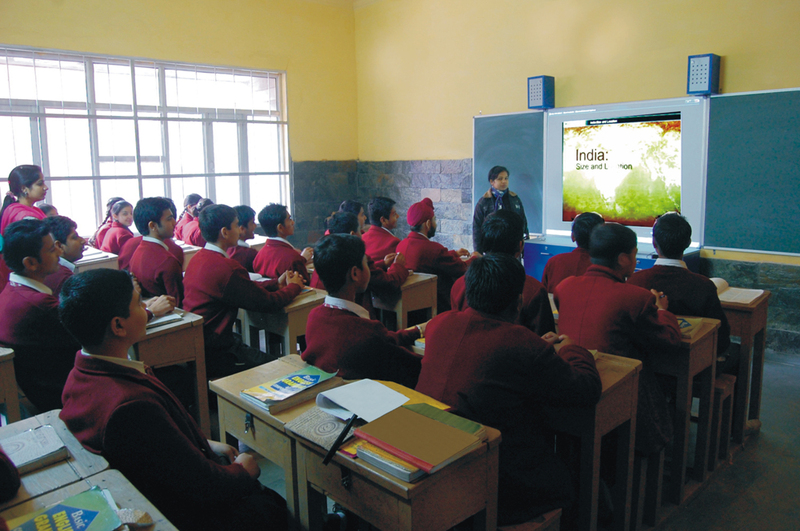 Apart from regular laboratories, the school has introduced Smart Class which has virtual laboratories in it. This gives students a chance to experiment together and so learn cooperatively, a skill that is irreplaceable in today’s world. The laboratories are well designed, airy and well-lit. A lot of thought has gone into making the labs safe for student use, with wash areas at every table and acid-spill showers within easy reach. Electrical and gas supply channels are protected by screens, and have safety cut-off taps within easy reach of everyone in the lab. 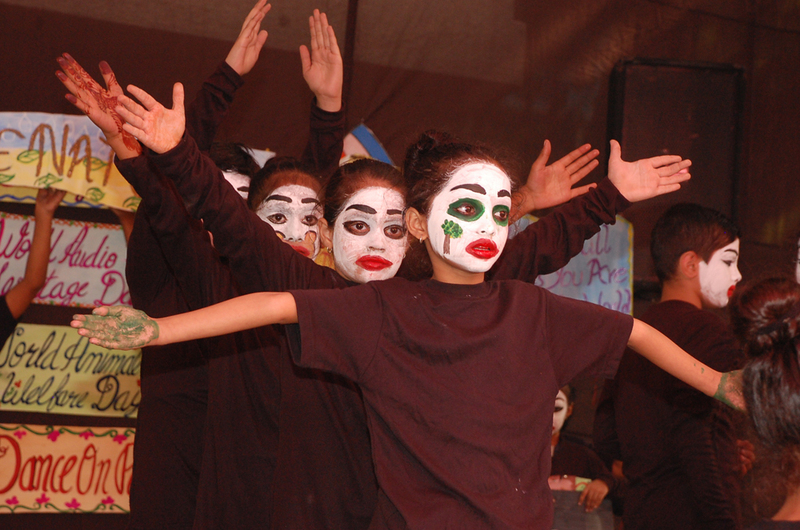 Holy Heart Presidency is one of the few ICSE schools remarked as the Best School by the ICSE inspection team. Holy Heart High School, established in 1978, started with a meagre number of students. Today it stands tall with its strength in thousands. Centrally located, it provides quality education to its students with the best infrastructure. With its branches spread over the holy city of Amritsar, it caters to the educational needs of this "Guru Ki Nagri" Amritsar. HOLY HEART PRESIDENCY SCHOOL, LOHARKA ROAD, AMRITSAR, set up in the year 2000 has its own campus with a built up area of 1,00,000+ sq. feet in 8.5 acres piece of land. 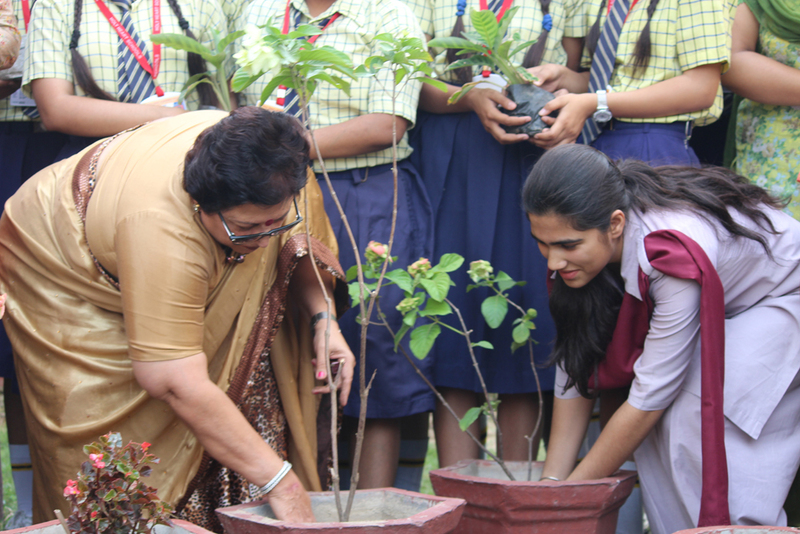 It has all the facilities to raise the students according to international standards. Holy Heart Presidency is one of the few ICSE schools remarked as the best by the ICSE inspection team.